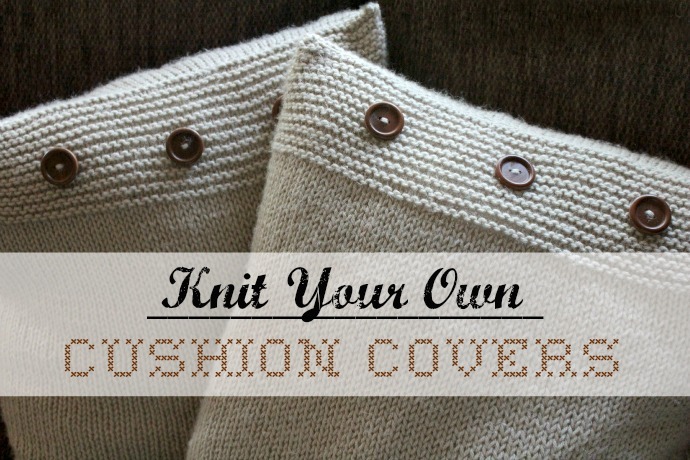 Knitted Cushion Covers Bought to You by Martha Mudguts! 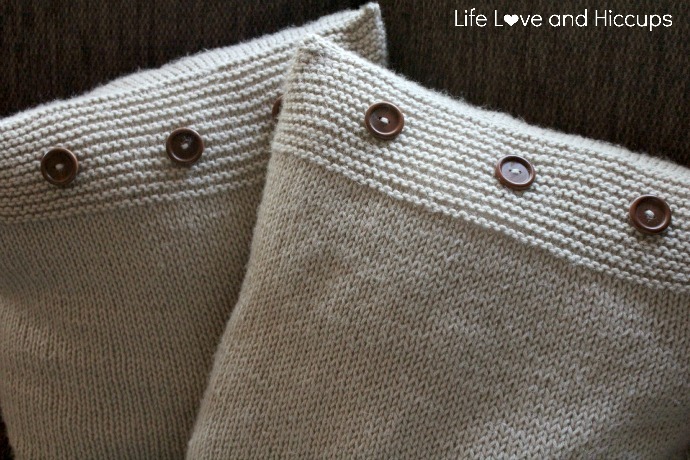 | Life Love and Hiccups: Knitted Cushion Covers Bought to You by Martha Mudguts! 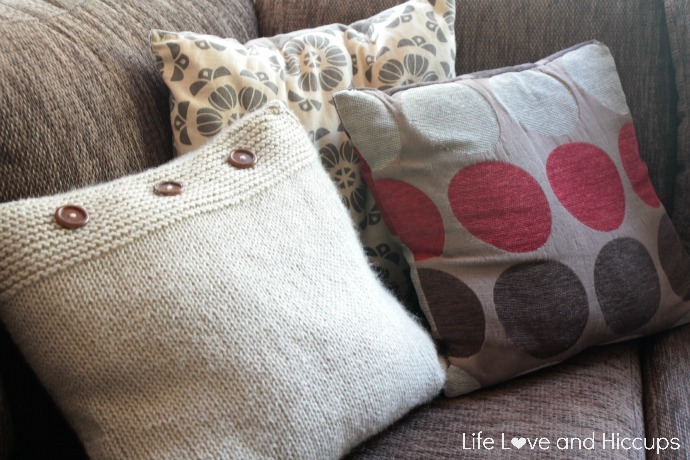 Knitted Cushion Covers Bought to You by Martha Mudguts! Helloooo there, it is Martha Mudguts here reporting from Craft Chaos Central. Otherwise known as the place where a million and one crafting projects come to die. Seriously I have any number of projects on the go at once, and occasionally if I am very lucky, one eventually crawls across the finishing line. I can kinda knit now. My dream is to yarn bomb something in my lifetime. Something big, like maybe a nice beret for the top of the Eiffel Tower. Hey you gotta dream big. In the meantime I am in the middle of making a massive blanket to curl up under on the couch. And when I say in the middle I have done about 16 of the 80 squares I need to make that happen, so somewhere in the first quarter mile is probably more accurate than saying I am in the middle of. Like any true Gemini - I get bored when something is taking too long. So to cure that boredom itch I had a go at making some knitted cushion covers whilst I wait for my blanket to grow. Surprisingly, they were easy and if a total novice like me can make them, anyone can. 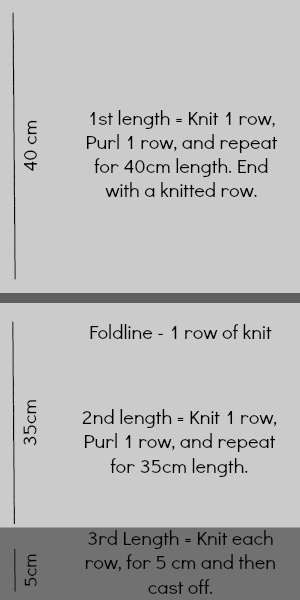 I have adapted a couple of patterns I found on the internet by other knitting sites, to exclude any stitches I didn't recognize (which at this stage is pretty much most of them) and I've just gone with simple. 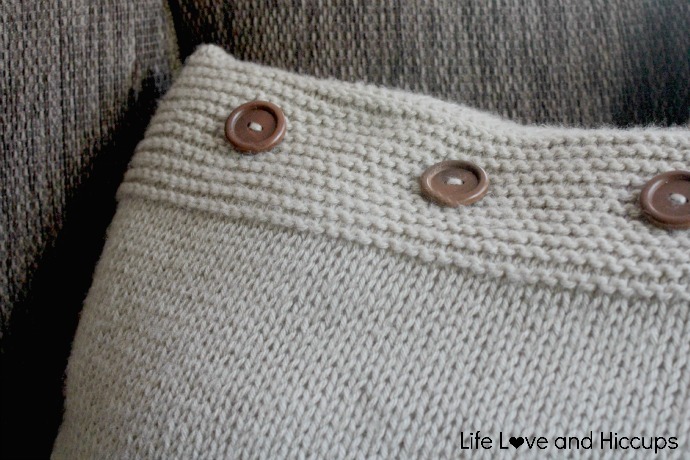 Knit one Purl one. My kind of simple. 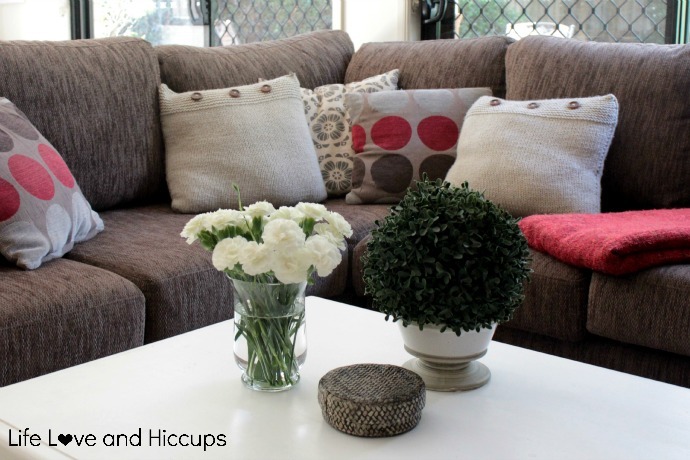 So just in case you are tempted to brew up a hot cuppa over the weekend, curl up on the couch and get into some yarn bomb training with me, here's all you need to get going on making your own cushions covers. 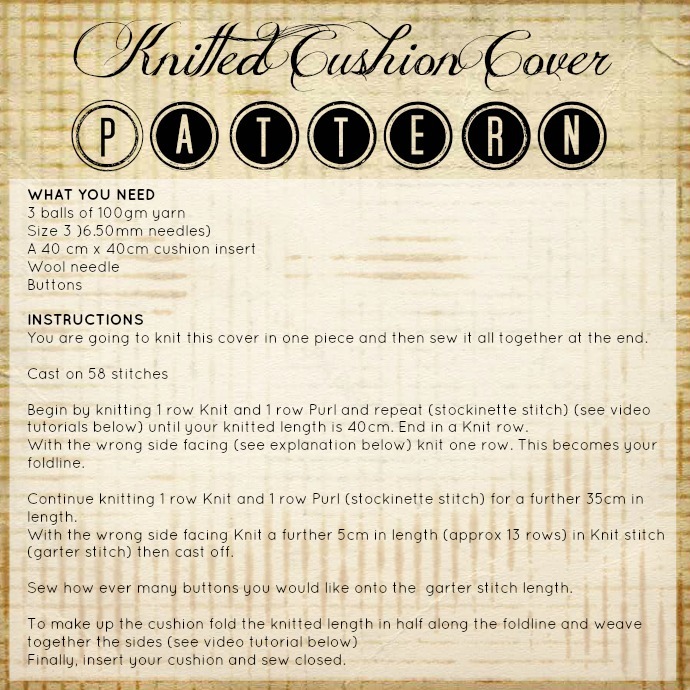 I have also included some basic instructions and the You Tube tutorials I followed, just in case you are a complete newbie to the knitting craze like I was a few months ago. Have fun and instagram me your pics to LifeLoveHiccups. I would LOVE to see them! Are you inspired to yarn bomb the Eiffel Towel with me?